I am delighted to announce the winner of the May monthly newsletter giveaway and remind you all of the prize up for grabs in the June giveaway! So firstly many congratulations to the winner of our May giveaway ofThe Memory Chamber by Holly Cave with some wonderful loose leaf tea from The Gilded Teapot and a tea ball infuser made exclusively for My Chronicle Book Box. 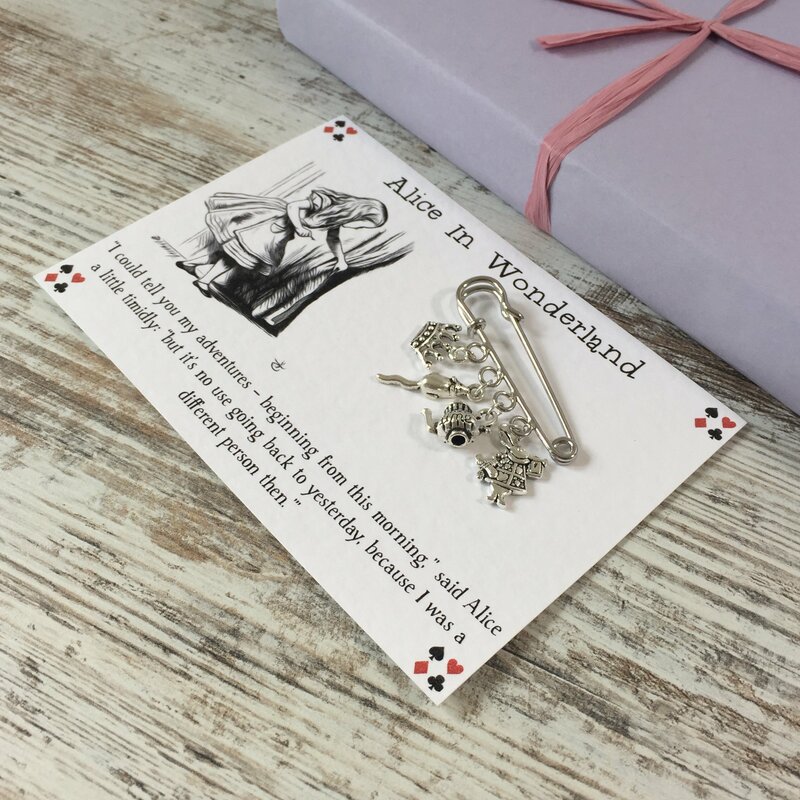 For our June giveaway the prize is a fantastic Alice in Wonderland themed brooch by Nabu. This brooch was one of the bookish items in our May Scifi & Fantasy book boxes. To be in with a chance of winning this great prize simply sign up to our newsletter by 20 June 2018.